Last night I saw the incredible new Avengers: Infinity War. Twenty-four hours after seeing the movie I am still processing all of the cross-overs and interactions between the key characters. This will be my attempt to prep you for your experience seeing the new Avengers: Infinity War. I will NOT give any spoilers. This movie was a fantastic uniting of all of your favorite Marvel characters in a fast sequence of stories and characters as the titan, Thanos, comes in search of the infinity stones. 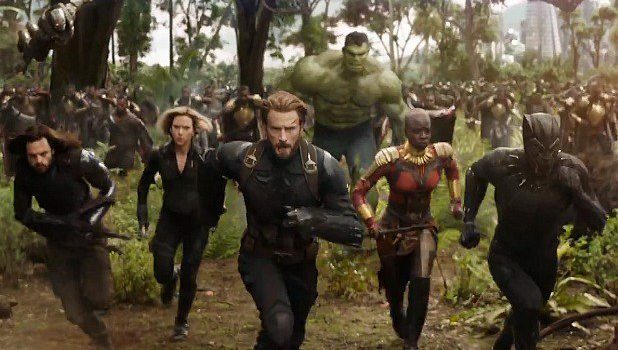 More than anything, Avengers: Infinity War was a culmination of the last ten years of the Marvel Cinematic Universe. Storylines, character motivations, and locales were all woven in from each Marvel film ranging from the original Iron Man to Guardians of the Galaxy to the recent Black Panther. It was a Marvel fan’s paradise! With that said, I wish that I had done more preparation before I saw the new movie. It has been a little while since I saw the Avengers: Age of Ultron and Captain America: Civil War. I have also never seen Doctor Strange in its entirety. My viewing experience of the new film would have been improved if I had seen these other films again and had a better grasp on all of the characters backstories and their current status. This comes from the fact that because there are so many characters in this new movie, there is little room for much character development for many of the characters. You will see your favorite characters interacting with each other, and that has to be the point for you. It is almost as if you should binge watch all of the Marvel Movies leading up to the new film in TV show style (if only we already had the Disney streaming service) and this is the great first half of the season finale. Seeing Thor and Star Lord (shown widely in the trailer) meet each other was hilarious and is a perfect example of the power of this new movie. We already know everything about Thor from his movie and everything about Star Lord from Guardians of the Galaxy, so we can appreciate their meeting and interaction. There are other awesome interactions like this, that I won’t go into. Finally, one of my favorite aspects of many Marvel movies are the film scores and music chosen. Avengers: Infinity War did not disappoint at all in this aspect! Your favorite movie music themes will be inserted throughout in addition to new music that you will love in years to come. So, I greatly suggest that you do your homework and take a look at the Marvel movie list and do a little bit of viewing before you see this new movie. Do it quickly though! This is a movie to see the opening weekend with an interactive audience. When I saw the movie, I was in a preview screening with 1,100 other people at the El Capitan in Hollywood. The air was electric and the audience was extremely invested. This only elevated the experience that much more. The combined gasps and laughing out loud made the movie that much better. Remember #thanosdemandsyoursilence, so don’t share any plot points on social media or give out any spoilers. You can read more about saving money on your trip to Disneyland here and can find the best Disneyland discount tickets here.